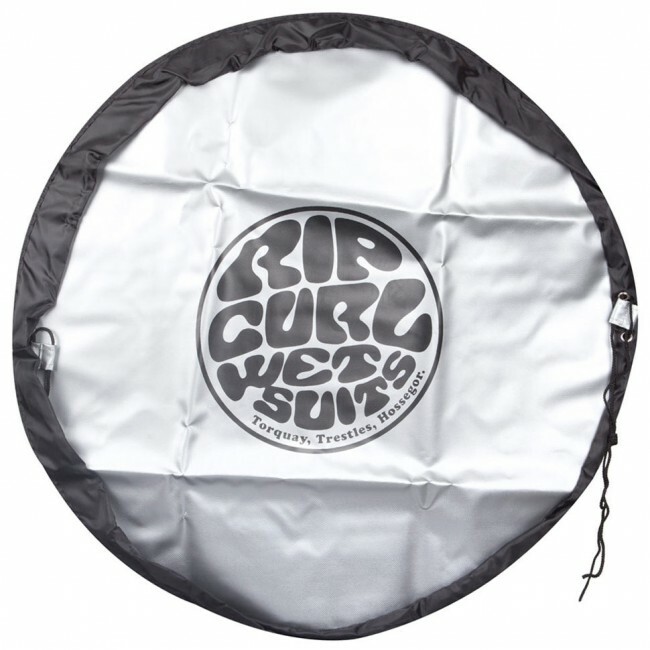 A simple solution to messy surf gear, the Rip Curl Wettie Change Mat helps to keep the muck off your feet, your suit, and gives you a clean surface to change on. Lightweight and convenient, the Wettie Changing Mat folds up small when not in use but makes a big difference when you throw it down and have a dirt free surface. Once finished, simply pull the drawstrings, cinch the bag closed with your sloppy suit inside and go. Keeps the sand, mud, oil, and grime off your suit, and the mess out of the car. Dry, clean feet and easy to go gear storage for cheap? Yep, the Wettie Bag should be in every surfers arsenal of accessories.